Come to the Career Zone and invest in your future. Find resources, interactive activities, and sessions to support your job search and career development, no matter where you are in your planning career. Events will take place in the Exhibit Hall except where noted. Job seekers, discuss open positions with employers in small group information sessions. Employers, discuss current job openings with a highly qualified pool of candidates. Have experience and advice to give? Consider mentoring a planner during the conference and leave a lasting impression on them. This is a great opportunity to give back to the future of planning. Saturday, April 13, 10 a.m.–4 p.m.
Sunday, April 14, 10 a.m.–4 p.m.
Monday, April 15, 10 a.m.–5:30 p.m. In partnership with Sequence Staffing, APA is offering our annual Resume Clinic in the Career Zone. APA members will have the opportunity to get one-on-one feedback, insights, and tips from fellow members who have volunteered their expertise: private and public sector hiring managers, AICP Fellows, leaders of APA divisions, and many others. Participants must sign up in advance for a 20-minute resume review session. Come by the Career Zone in the exhibit hall for career advice and networking opportunities. APA is partnering with Sequence Staffing representatives to provide activities, information, and professional headshots. Check out other career-related sessions in the full conference program. Monday, April 15, 5:30–6:30 p.m.
Job seekers and employers come together in the Career Zone for an hour of networking. If you missed the Employer Connection Job Fair this is your chance to reconnect. Sunday, April 14, 7:30 a.m.–5:30 p.m.
Are you interested in planning leadership or management? Make a "plan for you" and sign up for a Planning Institute, only at NPC19. Attend a full day of in-depth training and earn up to 8 AICP Certification Maintenance credits. Registration is now closed in order to tailor the content to the audience. 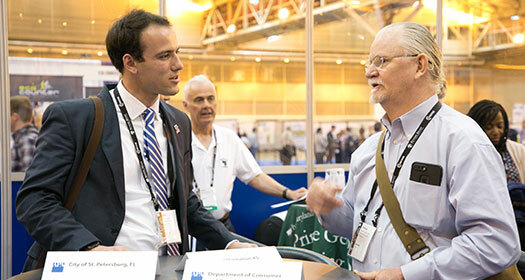 APA's National Planning Conference is your best chance all year to explore career options, meet people who can help you along, and make connections that can last a lifetime. On #StudentSunday, NPC19 offers several activities just for students. Learn more about APA leadership opportunities, make career-defining connections with future colleagues, and mix or match with a mentor. Then, enjoy refreshments with your fellow emerging planners at the Student Social. 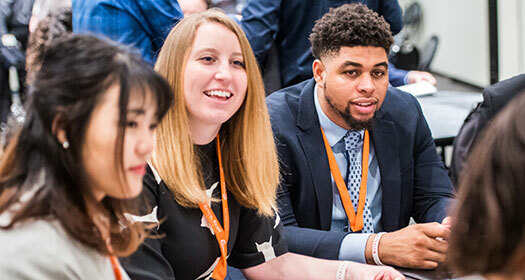 The American Planning Association (APA) is hosting its third annual Student Design Competition as part of its 2019 National Planning Conference in San Francisco. Selected team finalists will present their entry at the National Planning Conference between April 13 through April 16, 2019. Co-sponsored by the Divisions Council and the Student Representatives Council, the annual Student Design Competition creates opportunities for interdisciplinary student collaboration while advancing a current Divisions Council Initiative. Finalists present at the National Planning Conference and the winning team is awarded a $2,500 prize. A jury comprised of diverse backgrounds and experience will review all entries. Up to five finalists have been selected to further present their ideas at a National Planning Conference session in San Francisco. A single team will be selected as the Student Design Competition winner during the conference session. Calling APA student members! Are you interested in helping out at NPC19 — and getting paid for it? Good news! APA is signing up student volunteers to fill a variety of roles. Student volunteer positions are reserved for student members of APA. Positions are filled first-come, first-served. Volunteers are assigned to only one shift. That gives you the rest of the conference to attend sessions, network with practicing planners, and connect with other students from around the country. If you cannot work your assigned shift, you forfeit the opportunity to participate. The pay is $100 when the shift is over. First, register to attend the conference. If you register by February 13, the APA student member rate is just $125. APA emails new student registrants an invitation to volunteer. When you receive yours, click the link in the email, follow the instructions, and select the position you want. You'll get a confirmation and more details closer to the conference. All student registrants will continue to receive this email containing updated information on current availability of volunteer opportunities. Not a student? Join APA now at HALF OFF regular member dues and register for NPC19 at HALF OFF the regular member rate. Students and new members receive all the benefits of regular APA membership and more.